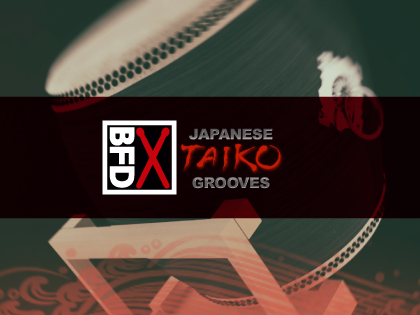 Japanese Taiko Grooves is an Groove pack for BFD3 and BFD2 designed in conjunction with Japanese Taiko Percussion. It features a variety of types of authentic Taiko performances designed especially for the instruments provided with the JTP expansion pack. Japanese Taiko Grooves features over 40 palettes for use with Japanese Taiko Percussion and BFD3 or BFD2. The Japanese Taiko Percussion expansion pack is required in order to use this Groove pack.